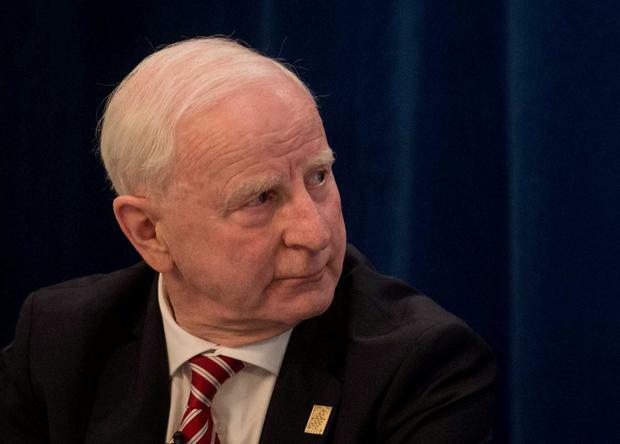 PAT HICKEY, the President of the Olympic Council of Ireland, has been arrested in Rio de Janeiro. Mr Hickey was arrested at an hotel in the Barra da Tijuca neighbourhood of the Brazilian city this morning. He is in the city to attend the Olympic games. it is understood that Mr Hickey (71) was taken to hospital at the time he got arrested. He told police he has a heart condition, and was taken to hospital as a precaution. However, it is understood that his blood pressure is fine. 'We are aware of the reports but at this stage we are still trying to get some clarity on the situation," a spokesman for the OCI told Independent.ie. "It is still early morning here so we are trying to gather some information and when we do that we will release a statement through our normal channels." 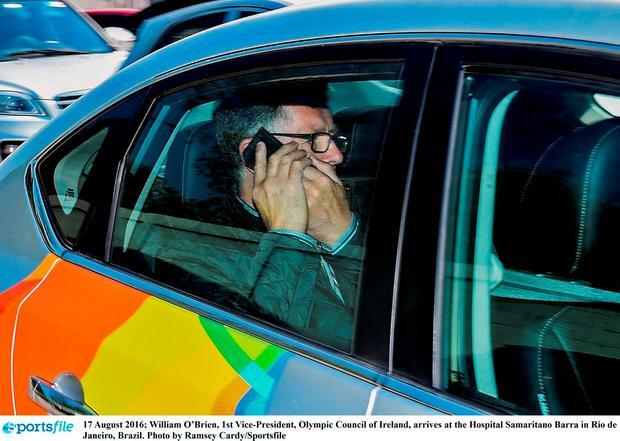 The BBC, quoting police sources, said that Mr Hickey, who is also head of the European Olympic Committees, tried to escape when they arrived at the hotel, saying he fled into an adjacent hotel room where his son had been staying until recently. They also claim he slid his Olympic pass under the door. His arrest comes as Brazilian police investigate the chain of events which led to almost 800 Irish tickets for the Games ending up in the hands of alleged touts. The OCI had previously said it would not permit an independent person to be added to its inquiry team and will not co-operate with a potential Government probe, as it might prejudice the case of Dublin businessman Kevin Mallon, who is in prison in Rio de Janeiro. Mr Mallon, who is a director of a firm at the centre of the controversy, THG, was arrested on August 5 while allegedly in possession of tickets intended for the black market. Brazilian paper 'Eastado' is reporting that Mr Hickey was arrested at the Windsor hotel early this morning local time, and fell ill and was rushed to hospital. His condition is unknown. Mr Hickey has previously denied any wrongdoing in relation to the ticket sales. He is president of the European Olympic Committees, the body which gathers the continent's 50 national Olympic committees together. Officers from Rio's Civil Police Fraud Unit named the four men as Irishman David Patrick Gilmore, Marcus Paul Bruce Evans (UK), Martin Studd (English) and Maarten Van Os (Dutch). Public Expenditure Minister Paschal Donohoe has confirmed this afternoon that the Government is aware of the arrest of an Irish citizen in Brazil. "The only official information I have at the moment is that out ambassador in Brazil has confirmed to us that an Irish person has been arrested. "That person was arrested this morning. I do not currently have information about who that person was or the circumstances of their arrest," Mr O'Donohoe said. Asked if he has confidence in Mr Hickey's leadership of the OCI, the minister said that was a matter for the Department of Transport, Tourism and Sport. "Ministers Ross and O'Donovan are currently making an assessment of the situation and I'll wait to hear back from them regarding their views on how this matter is being dealt with," he said. 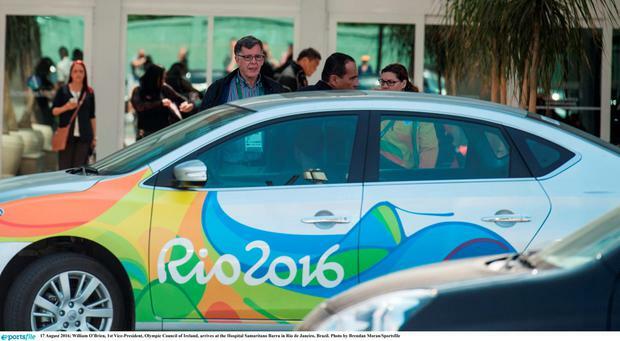 Sports Minister Shane Ross has tweeted: "Shell shock here in Rio". Ian Begley Irish boxer Michael Conlan's prospects of an Olympic gold were robbed before he even stepped into the ring, according to a damning new report. 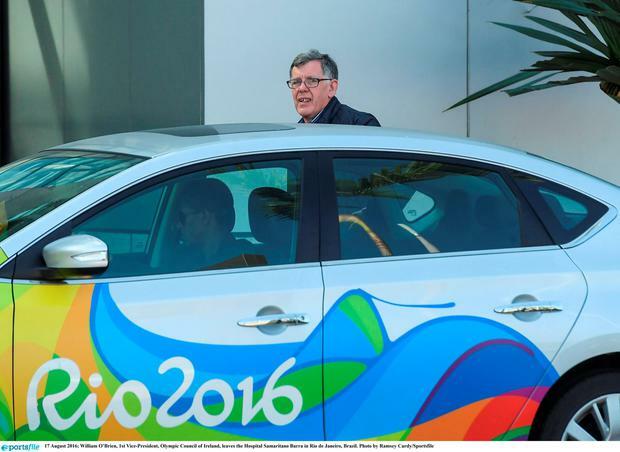 The International Olympic Committee (IOC) has suspended the honorary membership of Rio 2016 president Carlos Nuzman following his arrest in Brazil on bribery and fraud charges.